I made an error in my last post. It’s the statement that Laura Olsdatter Bohn (1853-1923) immigrated to the United States in 1887, arriving in New York City on the S.S. Island on 8 July. After I posted, one of my SLIG instructors, Finn Karlsen, found an emigration record for the previous year – Laura O. Bøhn of Eidsvoll, age 30, departing Norway on 24 June 1886 on the S.S. Geiser, final destination: Stephen, Minnesota. Way to go, Finn! This is clearly our girl. Not only is Stephen, Minnesota indicated – where we know Laura’s family had already settled – but the last name Bohn is employed. This is the first time we have ever seen the American surname of our family used in Norway prior to immigration. 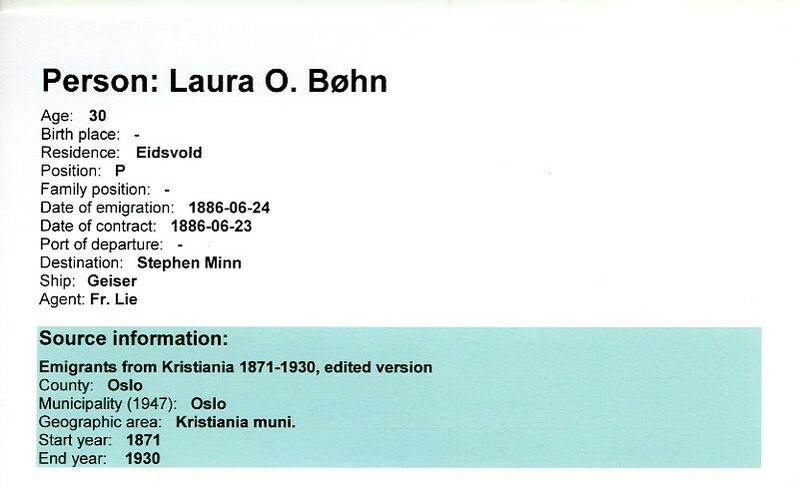 Laura must have known from correspondence that her brothers Bernt, Christ, and Ole, plus her parents, were using the Bohn (or Bonn) surname in America. Either she had formally adopted the Bohn surname at some point in the 1880s while still in Norway, probably after 1883, or she used it for the first time upon emigration. I kind of suspect the latter is most likely, although some Norwegians were beginning to take on surnames during the 1880s, so anything’s possible. There are two lessons here for me … and anyone else conducting genealogical research in Norway. Lesson #1 – Review all possible Digital Archives (DA) sources – In double-checking the 1887 passenger record I cited, I had browsed the out-migration (uttflydette) records from the Church Book from Eidsvoll Parish 1882-1895 with a negative result. But what I neglected to do was also search Emigrants from Kristiania, 1871-1930, which would have led me to the Laura O. Bøhn listing on page 242 in protocol 12. The first is a clerical record, the second is a civil record maintained by the Oslo police district. The lesson is to be thorough: be sure to review the DA source list for other holdings that might conceivably capture your target individual. Then take the time to go through those holdings meticulously, using brute force to browse Norwegian-language scans of original records. Expand the geographic range if necessary. In my example, Eidsvoll Municipality is quite close to the capital Oslo (Kristiania, previously) and any emigrants from Eidsvoll would likely have registered their emigration with the local police because that’s where they got on the ship. By focusing solely on records from my target’s home parish, I missed the pertinent record. Lesson #2 – Beware of similar given-and-patronymic name combinations. Norwegian society tended to rely on a limited number of given names. For boys, for example, every part of Norway finds multiple males named Ole, Lars, Hans, Peter, Karl, Niels, Andreas, Johan, Johannes, etc. For girls, it’s Anne, Kristine, Johanne, Marie, Inger, Maren, Hanna, Berthe, Ingeborg, to mention just a few of the most common. The given names, of course, drive the patronymic names. So you end up with a limited number of given-and-patronymic naming combinations. In 1865, over 2% of the male population was named Ole Olsen! Even in a small area like Eidsvoll parish, you would be surprised to find that other Bernt Olsens and Laura Olsdatters exist. The point is not to immediately assume you have found your target person when you find the right given and patronymic combination. Cross-check with birth date and residence to ensure you have the correct individual. I would also say that the long-standing genealogical principle of maintaining a research log so you don’t waste your time doing the same search over and over is doubly true for Scandinavian research. 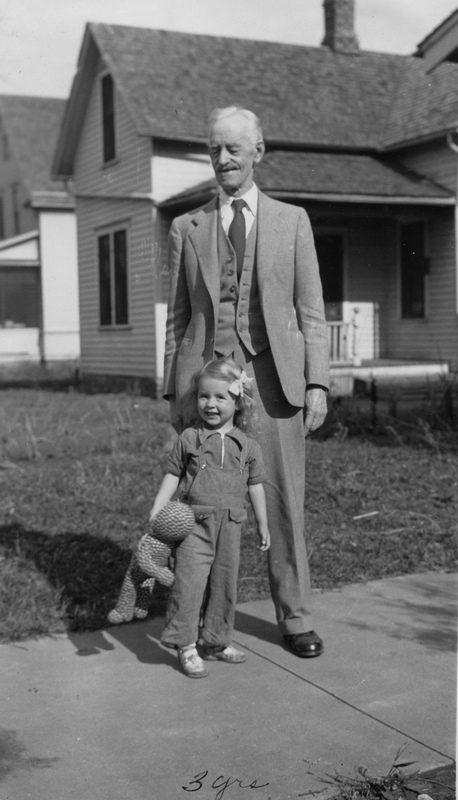 The only emigration record we are now missing from this family is that of Bernt Olsen (my great grandfather). There is a record that could be him, but it’s not definite. In the DA holding Emigrants from Oslo 1867-1930, there is an Eidsvoll resident named Bernt Olsen, age 20, departing Oslo on 3 June 1875 for America, final destination: Sparta, Wisconsin. The name, residence and age are about right, but the destination and year of departure seem off. 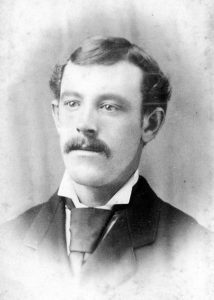 Our family history indicates he tried to homestead in Madison, Lac Qui Parle County, Minnesota in 1876 but gave it up after three years and moved into Montevideo, Minnesota around 1879. We have no knowledge of any association with Sparta, Wisconsin, but certainly it is possible he moved there first in 1875 and homesteaded in Madison, Minnesota the following year.